Doesn’t it feel like change is the word of the year?! We talk so much about the accelerated rate of change; how technology, competition, launching new products and services are constantly changing. But what about the customer, where do they fit in? 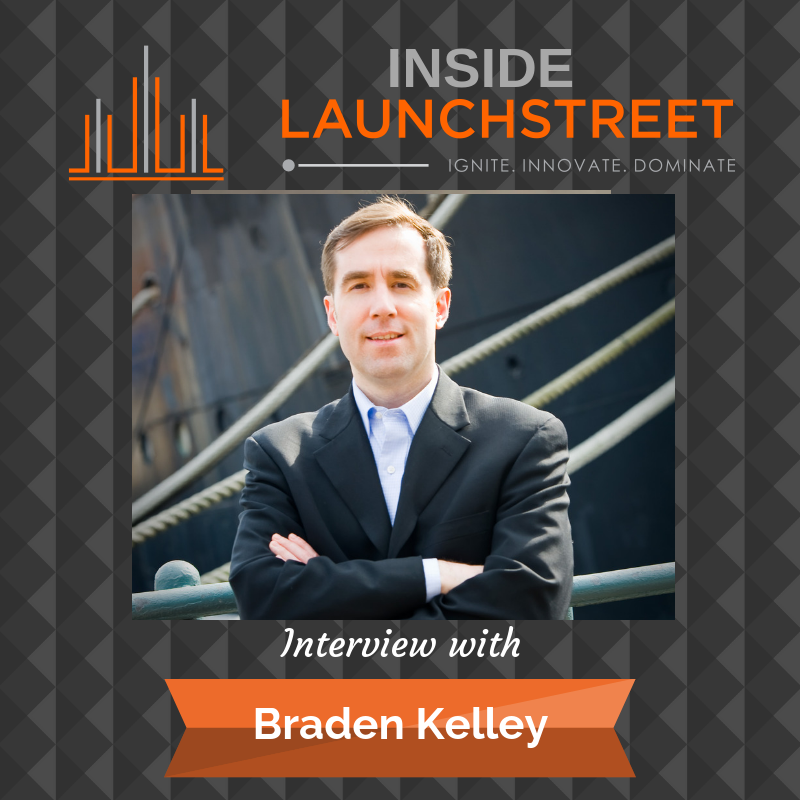 And this is why I had Braden Kelley on Inside LaunchStreet. He is an innovation thought leader, the genius behind the Innovation Excellence website and he has a range of innovative tools. He talked to me about how the biggest challenge we face isn’t just technology, it’s the customer’s increased expectations around the rate of change. How the fast flow of information is causing this AND how trust is how you battle all this crazy change. We also dig into how being agile actually includes some level of fixedness. Let’s get to it. [:58] Tamara opens the show by inviting listeners to spend seven minutes and take the free Innovation Quotient Edge assessment. It will help to unlock your greatest competitive advantage. [1:54] There’s so much talk today about the accelerated rate of change. Tech, competition, and speed to market are in a constant state of flux. Where does the customer fit into all of this? Find out why trust is the secret sauce to combat change. [3:32] You might be surprised to know that Braden is only 5’8 and is pretty good at basketball. His superpower is to see what is going to happen on the court. [5:04] Braden feels that the rate of change is accelerating rapidly. The age of companies has gone from sixty years to twenty years. Also, the rate of customer expectation is accelerating. The customer’s experience must be as good as another great customer service experience. Customer feedback and information can now reach people globally in minutes with technology. [9:22] How do you make innovation accessible to everyone on your team? Braden shares some of his nine innovation roles. [11:50] Tamara created the IQE assessment to help all players recognize that all people innovate. Braden often sees companies put the focus on launching things, instead of innovating. [14:52] How do you as an organization increase your agility and speed of innovation? If you want to be agile, you must strike the balance of flexibility and fixedness. He shares that the first area to explore is finding time to innovate. Cisco offers internal internships. This provides exposure to different areas of the organization. This also provides an external perspective from outside of the group. [18:54] Why does a long adoption curve kill innovation? How can you avoid this? [22:54] Tamara questions if there’s something that gives people an anchor to help them understand where the innovation value is. When something is incremental, it’s easier to make the connection. They discuss Apple and their genius bar. People needed to have help available to learn the new device. [25:58] Braden runs the site, Innovation Excellence. It’s a knowledge hub where innovation thought leaders post articles. Braden launched the site with Rowan Gibson’s innovation manifesto. This gives everyone permission to innovate. It inspires them and helps them to be curious. [27:44] Companies talk about a culture of permission to innovate but often, people don’t feel like they have true permission to innovate. Braden shares the analogy that you don’t throw a ball at someone without giving them a mitt. Most organizations throw lots of balls and don’t give employees a mitt. Processes for innovation must be in place from the very beginning. Braden created Charting Change: A Visual Toolkit for Making Change Stick, to help organizations deal with change. [31:40] One of the tools organizations use the most is the Change Planning Toolkit™. It is designed to be the central asset. Braden offers the experiment canvas as a free download to help people navigate their way through experiments. [32:57] Braden’s book, Stoking Your Innovation Bonfire: A Roadmap to a Sustainable Culture of Ingenuity and Purpose, is about helping leaders identify and remove the obstacles that cripple innovation. Braden identifies some obstacles that get in the way. First: Risk management does not come without a cost. Second: Innovation often becomes hard because of barriers. Third: Organization psychology is often the biggest barrier to innovation. Fourth: Not having a vision, strategy, and goals. [34:17] How do we get to the place that people feel like it’s not a part of the organization? Tamara talks about Otterbox and WhiteWave Foods. They both hit a tipping point where they started bringing people in to add more processes. This caused them to lose the innovation surge that got them to move forward. [36:37] What innovation myth is hindering progress? Is it all about new product development? [37:35] Connect with Braden and check out Innovation Excellence.com for lots of free resources. [38:20] Braden’s final piece of advice is to not stand still. If you stand still, you’ll get run over from behind. Don’t be afraid to try new things and pick up some new tools. [40:22] How do you distinguish between real innovation and leaping on the latest trend? [42:02] Why does the innovation need to be widely adopted? Why are so many people getting patents for mousetraps?